how remedies of breach of contract are justified and awarded. Article 229 of the Taiwan CC provides that a promisor is in default when the period fixed for the performance of an obligation expires and there has not been any performance of that obligation.22 An injured party is entitled to claim specific performance and damages in respect of the delay.23 If the performance is not desired by the injured party any longer, he may seek damages.24 Damages will only be awarded when fault on the defaulting party’s part is proved.25 In cases of delay, there is a statutory provision entitling the injured party to set a reasonable time for the defaulting party to perform before the right of termination arises.26 In contrast, there is no such rule in Singapore allowing the defaulting party to perform within a reasonable time, although parties may make such arrangements via contract. Such a provision primarily protects the performance interest, while other interests such as restitution interest and reliance interest are secondary. In Taiwan, injunctions may be granted by the court upon application by the injured party. The procedures and rules regarding injunctions are stipulated in the Taiwan Code of Civil Procedure. They may be divided into provisional injunctions and injunctions maintaining a temporary status. Which protects performance interest more – Taiwanese law or Singapore law? While both Singapore and Taiwan claim to be committed to putting the creditor in the position he/she would be in had the contract been performed, there are certain conceptual differences in the way this aim is achieved. In Taiwan, the starting point is that performance should be the primary response to non-performance since it is intrinsic to the contractual obligation itself.58 It is not entrenched in the idea of liability for a breach, and it is unfamiliar to regard performance as a remedy, because that connotes something external to the right of performance.59 The principle of pacta sunt servanda (Latin for “agreements must be kept”) is upheld under Taiwanese law through various provisions in the Taiwan CC, and is reinforced by the underlying moral idea in Taiwanese culture that promises should be kept.60 As a Chinese saying goes, a word once spoken cannot be overtaken even by a very competent horse (一言既出，駟馬難追). Singapore subscribes to a different school of thought. Damages are treated as the primary remedy, rather than as a right.61 This can be attributed to various reasons – historical, social and economic in nature. Historically, the action for breach of contract originated from the tort of trespass, where only damages could be claimed. 62 Furthermore, the courts used to be divided into the courts of law and the courts of equity, which awarded damages as of right and specific remedies as of discretion respectively.63 As a result of certain tensions, the court of law and its accompanying remedies came to be preferred over time.64 In addition, the common law is opposed to imposing moral duties in law, as demonstrated by the usage of the economic efficiency theory as a justification and policy concern for many pronouncements. The common law approach is more pragmatic – rather than insisting on the specific performance contracted for, it is more concerned with placing the creditor in the same financial position he would have been in if the contract had been performed. The bars to specific performance, such as avoidance of constant supervision and not wanting to interfere with the personal liberty of the debtor by causing undue hardship, reflect this preference for damages as the primary remedy for a breach of contract. These differences in legal traditions pertaining to contract law produce several effects. First, civil law reinforces the emphasis on performance by prioritising the continuation of the contract over its breakdown. For example, the Taiwan CC requires the creditor to give the debtor a second chance to perform, if performance is still possible, before allowing the contract to be terminated and damages to be claimed in lieu of performance.65 In contrast, Singapore law does not provide for cure-oriented remedies such as repair and replacement. Once a contractual term is breached, the creditor is entitled to damages.66 Even where a contract may be cured or repaired, the scope of this is only limited to specialist consumer legislation. The greater emphasis that Taiwanese law places on the performance interest of contracting parties arises from both its civil law tradition, which stresses performance as the core remedial right, and the influence of its traditional morals on the law. Nonetheless, the principle of good faith ensures that judicial outcomes will be reasonable and just for the parties involved. In contrast, Singapore, being a common law jurisdiction, prefers substitutionary remedies for historical, social, and economic reasons. However, cure-oriented remedies are available in Singapore consumer legislation, which is a statutory recognition of the performance interest in contracts. Performance interest of third parties is further protected by exceptions to the rule in privity,72 and against third parties via the tort of inducement of breach of contract.73 Taken as a whole, both Singapore and Taiwan protect the performance interest of contracting parties, but the extent through which this is emphasised varies according to the ease and availability of obtaining specific remedies. Authors: Lim Yin Hui & Dylan Mah, students at Singapore Management University School of Law (Class of 2019). This article was originally published on 6 September 2017 at SMU Lexicon. Due to space constraints, the appropriate citations can be found here. This article does not constitute legal advice or a legal opinion on any matter discussed and, accordingly, it should not be relied upon. It should not be regarded as a comprehensive statement of the law and practice in this area. If you require any advice or information, please speak to practicing lawyer in your jurisdiction. No individual who is a member, partner, shareholder or consultant of, in or to any constituent part of Interstellar Group Pte. Ltd. accepts or assumes responsibility, or has any liability, to any person in respect of this article. Singapore Management University has no responsibility or liability to any person in respect of this article. 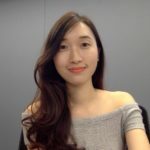 Yin Hui’s greatest areas of academic and professional interest are in understanding financial institutions, and in particular the capital markets. Prior to commencing her Juris Doctor degree, she was pursuing Communications & New Media at NUS. In her very limited free time (because of all the readings she does diligently), she enjoys watching horror films and playing strategy-driven board games. Why Get Married? And What Happens if the Relationship Goes South Quickly Post Marriage? Writing Scathing Online Reviews – Can you get sued?